Today: Deep fried ricotta, a classic from Emilia-Romagna. February really only means one thing in Italy: Carnival. As such, bakeries all over the country fry up the many sweet treats that are part of the age-old traditions of this Catholic festive season. In Tuscany, they make cenci (pastry rags) or rice fritters; in Le Marche, they do orange pinwheel pastries. A favorite of Emilia-Romagna (as well as a few other regions) is castagnole, or fritters, which are found in various forms. 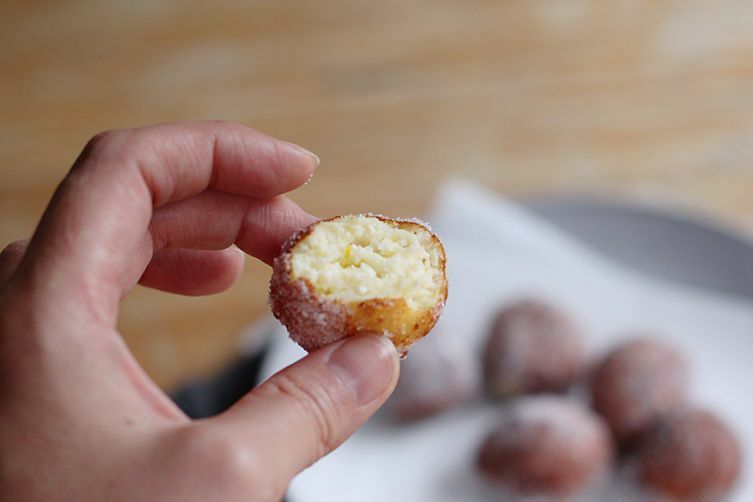 The most basic version is very much like a donut hole or ring shaped like miniature donuts. Either way, they are usually more or less the size and shape of a chestnut, which is where they get their name (castagne are chestnuts). 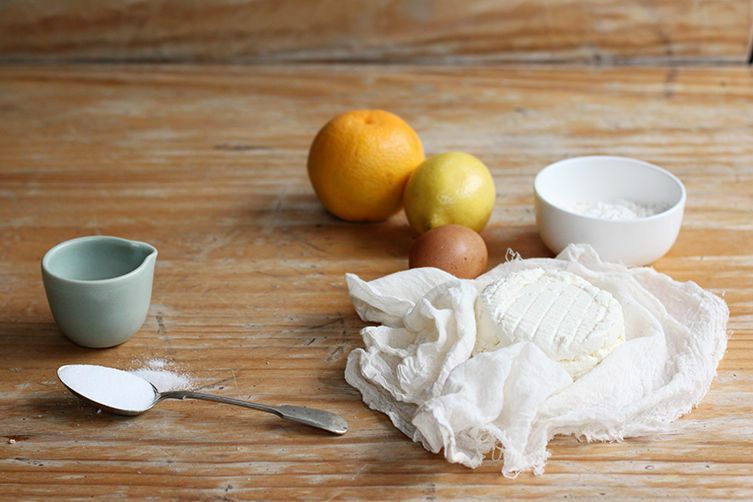 This ricotta version of castagnole is something special -- fluffy, light, and gently scented with citrus and rum. While bakeries and Nonna's house might be filled with Castagnole di Ricotta around Carnival time, you may also see these fritters as part of a gran fritto -- a great platter of deep fried treats popular in Emilia-Romagna that can include everything from artichokes to chicken croquettes, bone marrow and even fried custard. I took inspiration from Roman food writer Ada Boni's Italian Regional Cooking for these fritters. (Her 1929 cookbook Il Talismano della Felicità, printed as The Talisman Italian Cookbook in English in 1950, is better known. It's a classic, with straightforward, no-nonsense recipes that will be familiar for many who grew up in an Italian household.) Her castagnole recipe is extremely basic (I added sugar and citrus to the mixture), but I like that she calls only for a little flour, as many of today's recipes use half ricotta and half flour for a more solid fritter. 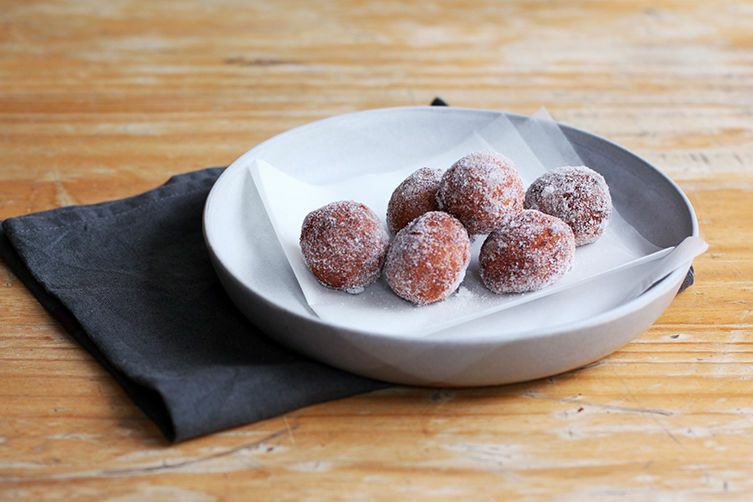 There are so many ways to play with the flavor of these ricotta fritters: Take out the orange and/or lemon, use an aniseed (or any other) liqueur instead of rum, add vanilla, or perhaps dust with confectioners' sugar instead of granulated sugar. I often see this recipe with baking powder too, which makes them puff up more and become spongier, but they remain much more delicate without it. You can also bake these if you prefer not to deep fry -- though they do come out crunchier. I feel like I've seen these before with a chocolate dipping sauce. I don't know what they taste like as I've yet to make them, but they sound delicious. Do you think chocolate would go well with them?